Asiago Mezzano signifies the dairy tradition as it exists in the Asiago Plateu between the Veneto and Trentino-Alto Adige regions. The cheese began as a sheep milk cheese around the tenth century, with cow milk versions becoming increasingly common over subsequent centuries. 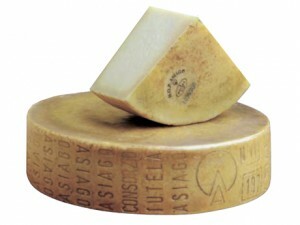 Formaggi Ciresa is a leading affinatore of Lombardia. Their work includes selection, aging, packaging, and distribution of cheese, particularly the traditional cheese families of Lombardia: Stracchino, Gorgonzola, Latteria & fresh cheese. Founded in 1927, their multi-generational relationships with cheesemakers allow for incomparable representation of these regional styles, in addition to PDO cheeses throughout Italy. PROFILE Dense, shardy texture. Vegetal and citrusy. Our family has been importing cheese since the 1940’s. We are experts in introducing product lines to the U.S. marketplace.